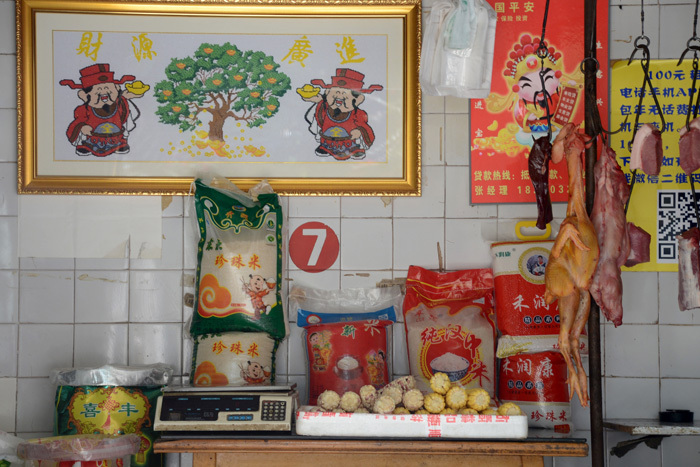 Inside a small shop that sells vegetables, meat, and rice. The picture on the left is a money tree, a special tree in Chinese legend that brings money and fortune to people, and is a symbol of affluence, nobility, and luck. I can only read the first two characters in the painting which mean money or financial resources. This picture is so bad that I’m convinced it’s actually good. 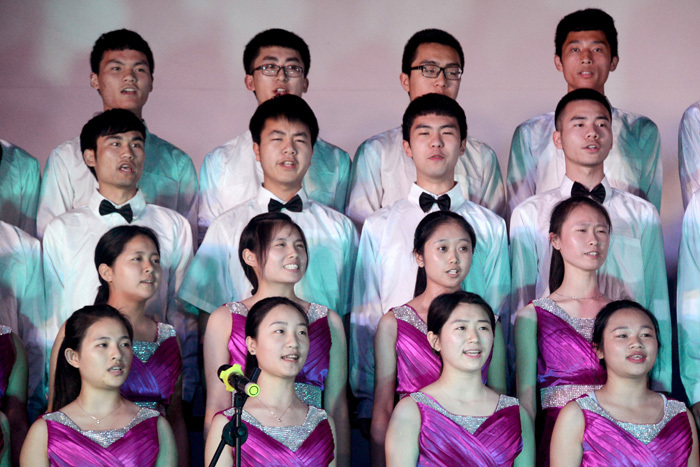 This was taken at a springtime student performance in the Huangling auditorium. There are about 100 students in the freshmen choir which is a new group this year and they are still working out their sound. Other performances of the night included a band rocking out to Linkin Park, Yi nationality students singing traditional songs, and poetry readings. I did a dance and sang to “Uptown Funk” with the English department. Spring is coming. Leaves outside of my apartment building. 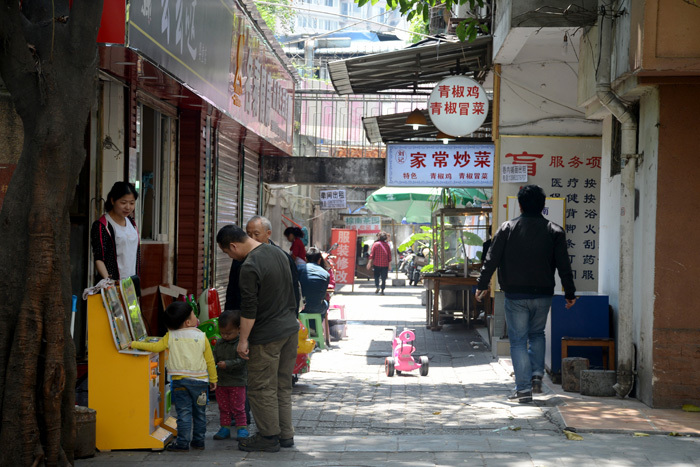 Down a busy alley in Zigong. 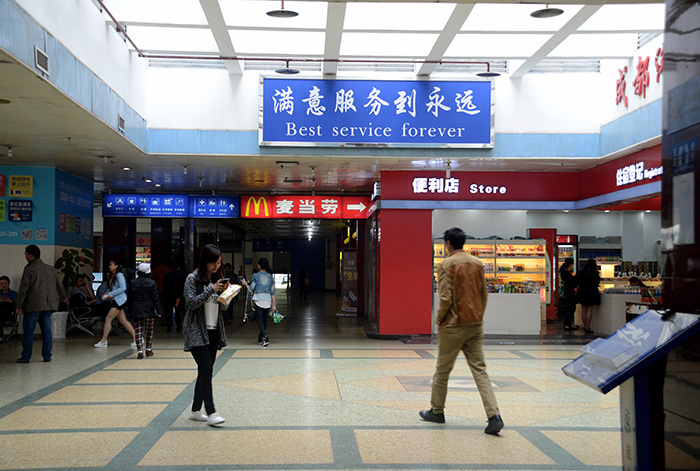 One restaurant sign says it has home-style fried vegetables and the other says it has green pepper chicken and green pepper mao cai. A friend invited me to have tea and showed me how to perform a fancy tea ceremony which is a special skill that most people don’t know how to do. It is necessary to have a perfect teapot, cups, brewing tray, tea, and water. First you warm the water, next everyone has to take time to appreciate the tea, then there is a long process for actually preparing the tea, and finally the tea is drunk. 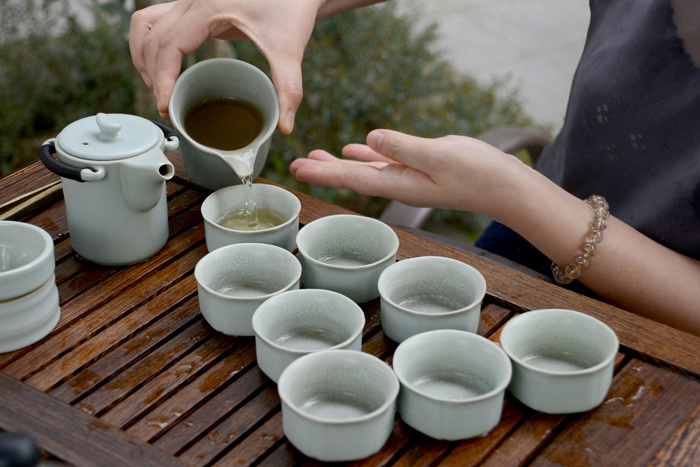 The ceremony is about art, elegance, and harmony and focuses on the taste and smell of the tea. You don’t actually drink very much tea though because the pretty cups are so tiny. Students watching the sports meeting with their sunbrellas. The stands were packed because the school forced the entire student body to attend and cheer in order to promote school unity. A few students were very bitter about this and hid in their dormitories to avoid having to go stand in the sun for three straight days. I ran into a few while they were sneaking outside to get food. View of some countryside houses on the bus ride to Chengdu. 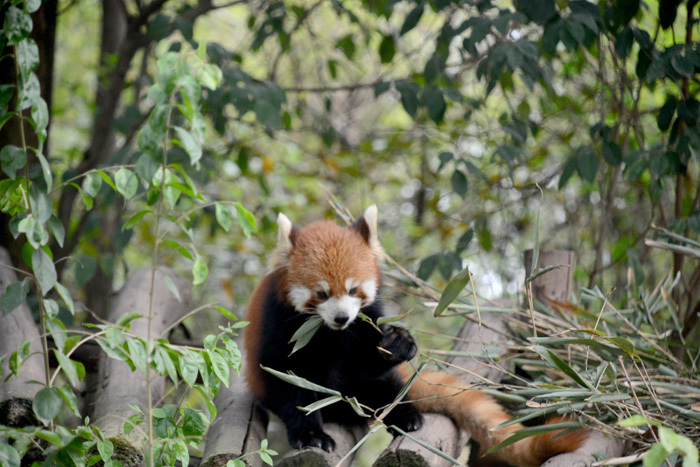 I spent this week in Chengdu attending Peace Corps events. I first participated in the Sichuan counterpart workshop over the weekend where I got to meet and work with other teachers in the province who are counterparts or partner teachers of other Peace Corps volunteers. 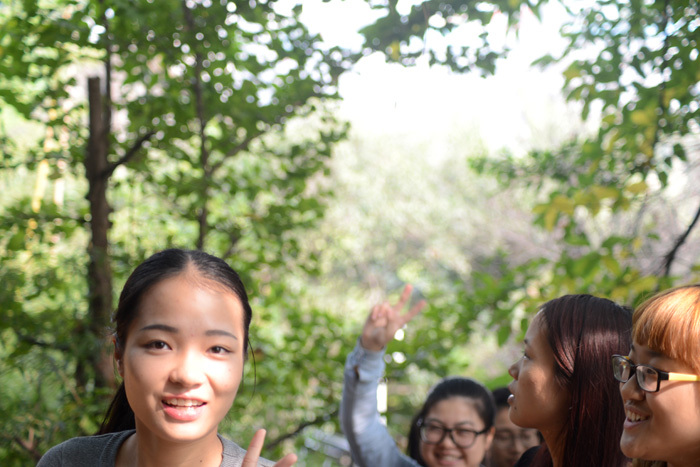 On Monday all the volunteers in China came in to attend the Close of Service Conference which marks the beginning of the end of our time in Peace Corps. We talked about transitioning back to life in America and the logistics of finishing our service like how to wrap up projects and say goodbye to our communities. We also did a lot of paperwork, a Chinese test, and doctor and dentist visits. I am preparing to leave China on July 7th and have a lot of things to do before then. 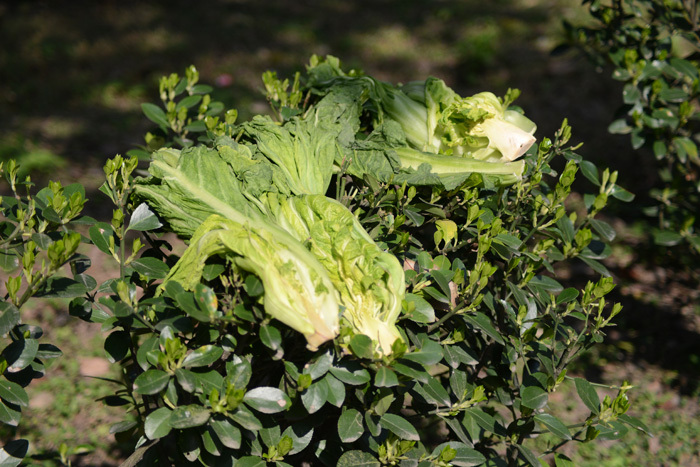 The picture below was taken in Chengdu’s Tianfu Square. “The country is establishing sanitary cities. 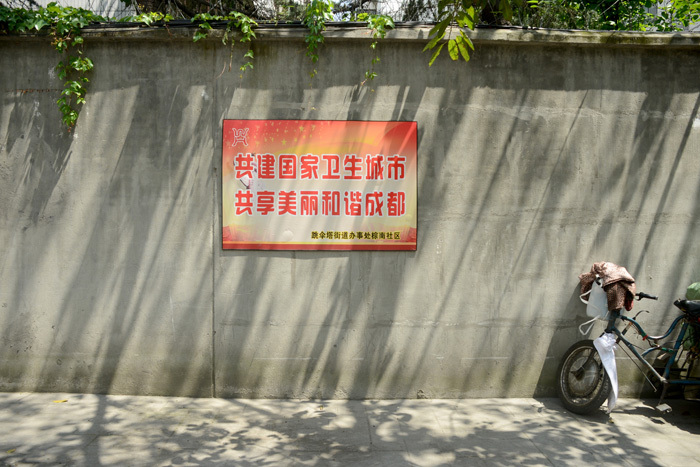 Enjoy beautiful and harmonious Chengdu together.” I think this is one of the most popular government propaganda signs right now. There are similar government signs urging people to be sanitary and civilized literally everywhere. I pass at least five signs with similar messages on the hour long bus ride from Dengguan to Zigong. 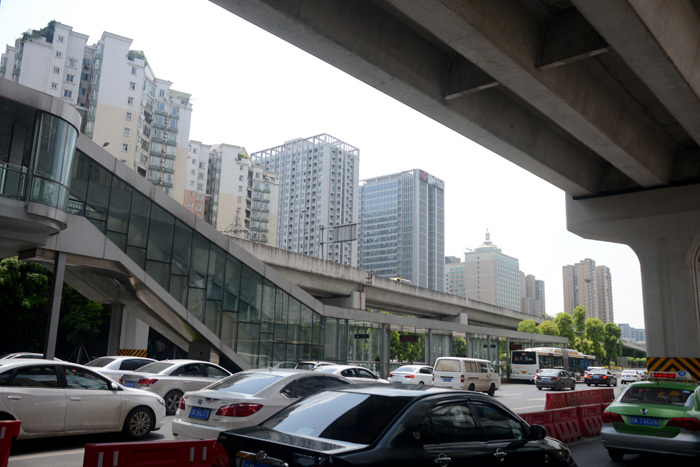 Over the past two years I’ve spent a lot of time at Wuguiqiao bus station where I take the bus from Chengdu to Zigong. It is really interesting to come back to places like this that I go to every few months or so and see the fast development changes. I remember when I first came here it was dark and grungy and I ate bad noodles while sitting next to smokers in the waiting area downstairs. Since then they’ve revamped the signs, seating areas, restaurants and the bus parking area outside. 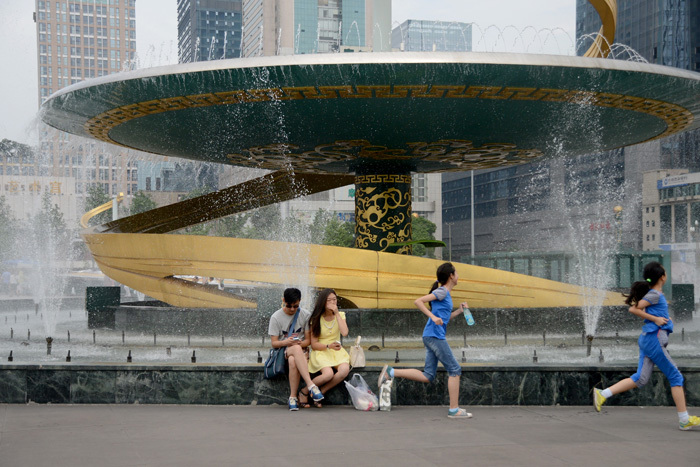 Even in just a short time it has been easy to see how quickly Chengdu is developing. 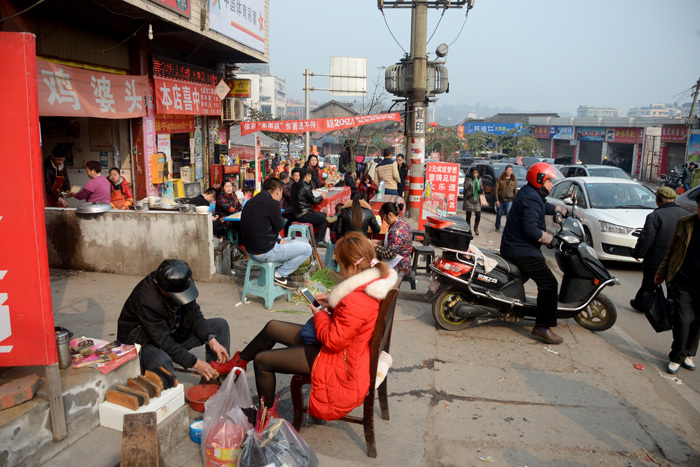 A typical street scene in Chengdu. 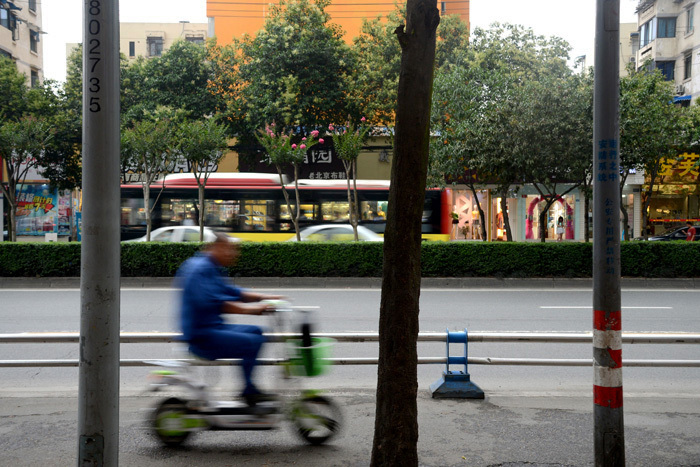 A man riding his scooter on the sidewalk in Chengdu. 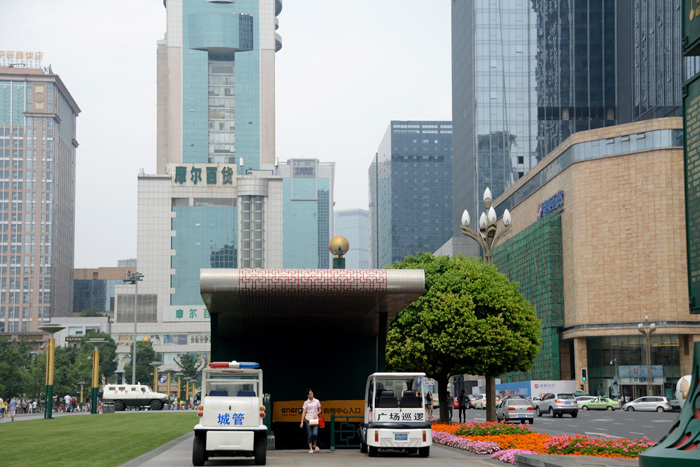 And another one from Tianfu Square. My class took a break today and went on a scavenger hunt outside. They had 45 minutes to complete a list of English-related tasks. 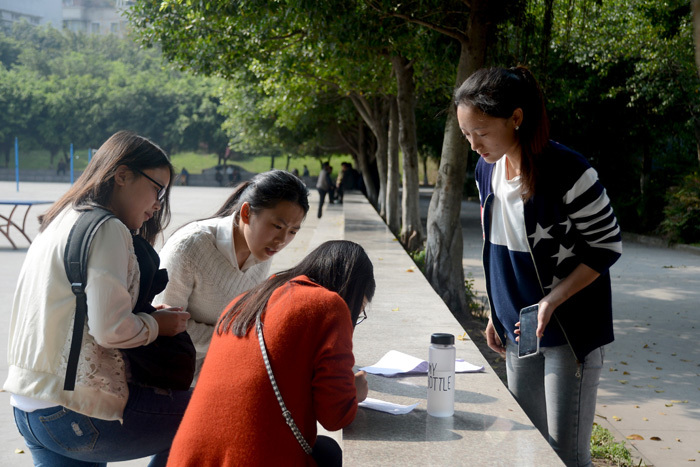 For example, “take a picture of a sign that is in Chinglish and write down what it should correctly say” and “take a picture of a restaurant menu and translate five things into English.” In this picture, Kacey, Maria, Vivian, and Lyric work hard at writing a five line English love poem. Down the road from my school. 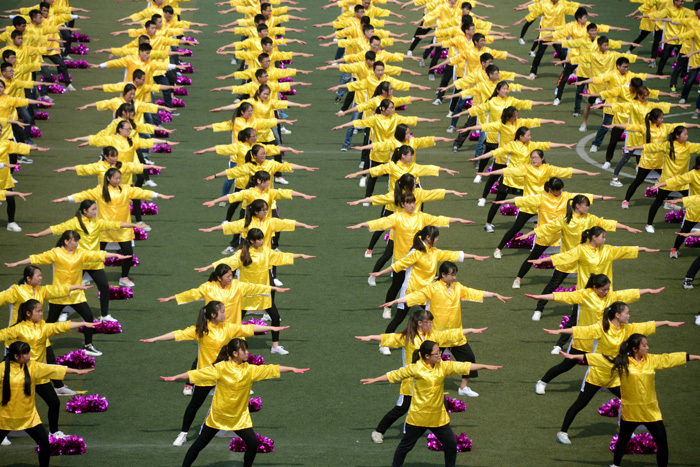 During lunchtime, students practice marching in unison to prepare for a school event. 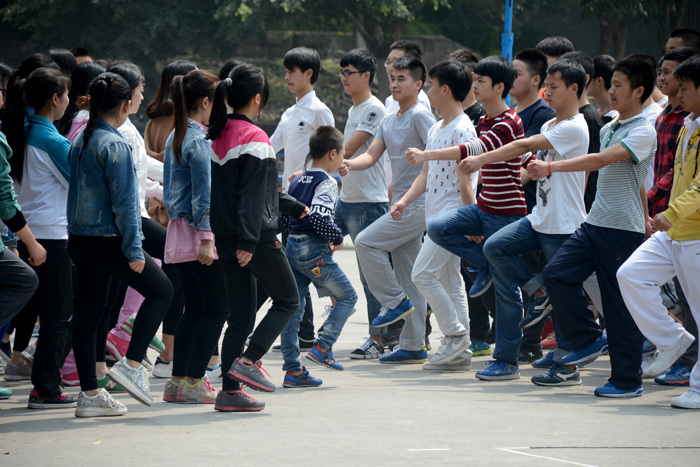 The students have been doing things like this since elementary school so it is totally normal for them, but for me it is still really strange to watch groups very seriously shout out numbers while marching back and forth on the basketball courts. A neighborhood kid has joined this group of students. We had a long weekend for Tomb Sweeping Day and I went to go visit my friend Megan in Guiyang, Guizhou which is a 14 hour train ride away. 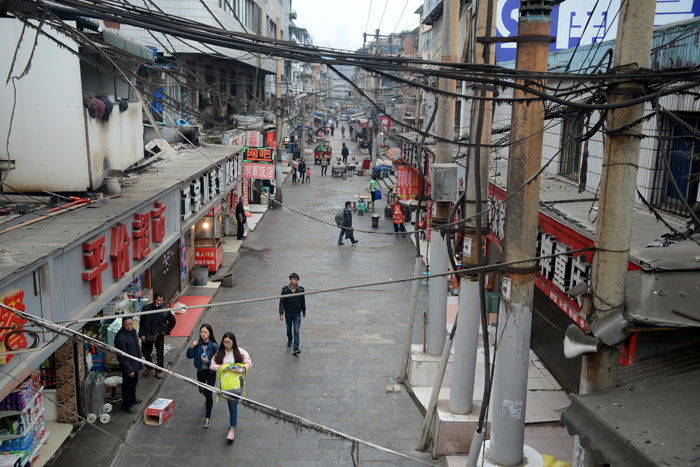 A street near the train station in Guiyang. After I took this picture we went to a noisy covered clothes and snacks street underneath the overpass that I was standing on. 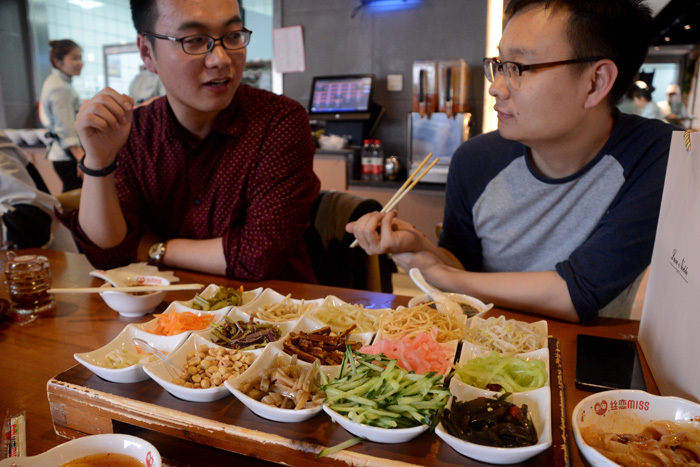 Megan’s friend on the right is applying to teach with the Confucius Institute, a program with the Chinese government that promotes Chinese language and culture internationally. I hadn’t heard of it before I came to China, but it’s the dream job of a lot of my friends here. 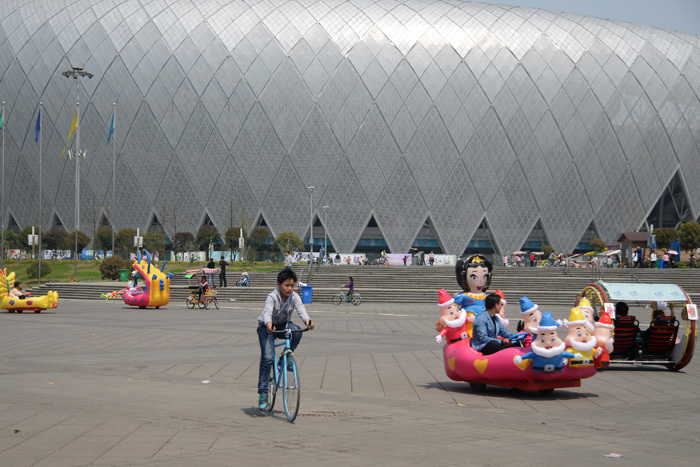 The Guiyang Olympic Sports Center which holds soccer games. Contrary to the signs posted around it with Olympic information and the official symbol, it actually has nothing to do with the Olympics. 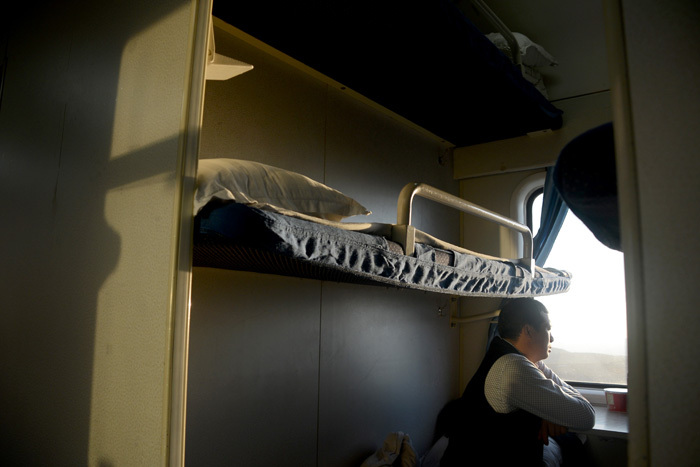 On the train ride back from Guiyang I woke up and was surprised to see that we were passing rocky terrain, really poor small towns, and what looked like two mosques. I looked up the city we were in at the next stop. 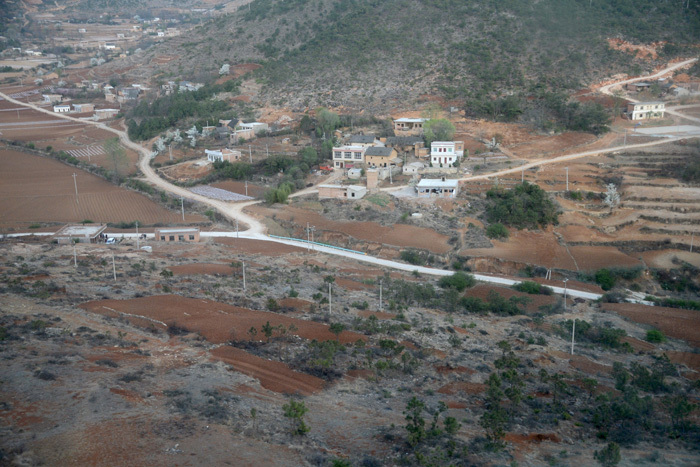 We had taken a huge detour, going west instead of north, and were now in Yunnan province. 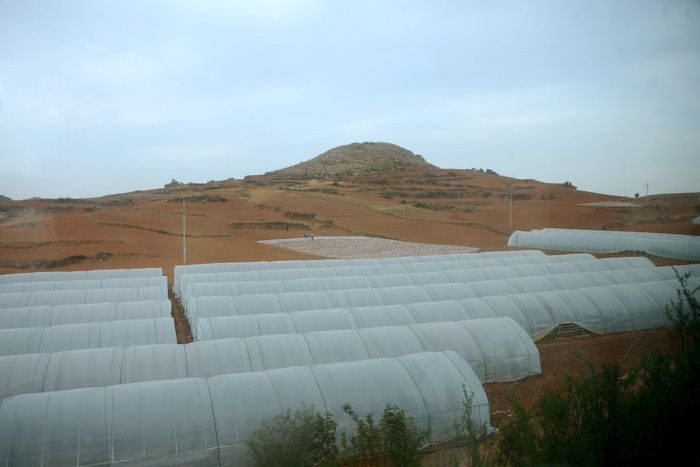 Here are some greenhouses on the barren landscape. 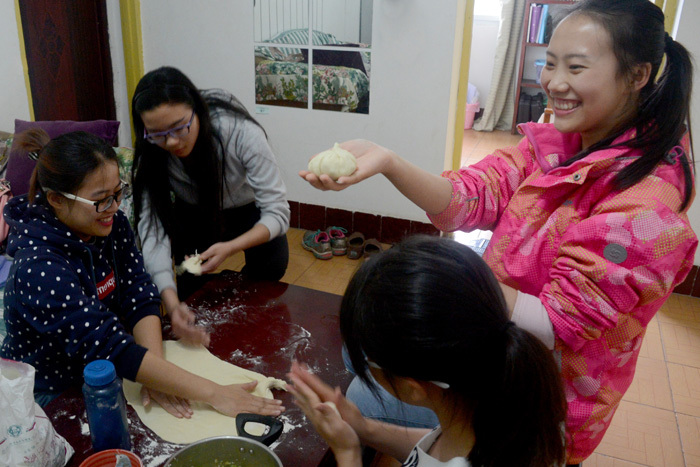 I invited a few students over to make steamed buns. It took a while to make them, but it was a pretty easy process. The dough is just flour, water, yeast, and baking powder and we made a mixture of tofu and cabbage to fill them. Then the buns are steamed for 20 minutes. 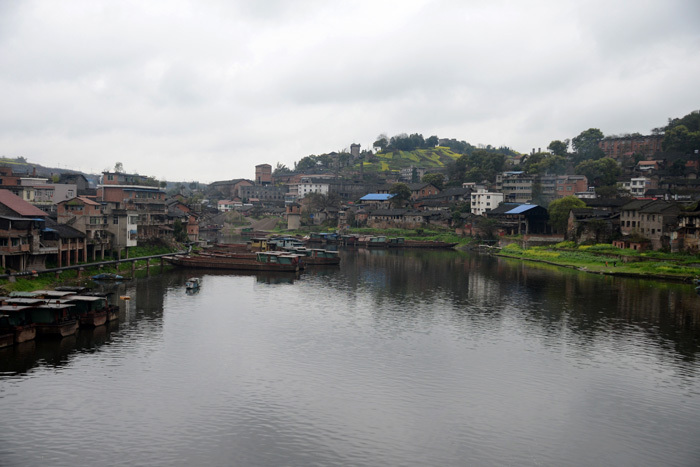 This is a view of Dengguan (my home in China!) from the bridge that connects both sides. I live down the road on the right side. I think the yellow springtime flowers add a cheerful touch to the scenery and though the weather looks pretty bad, that’s what it looks like every day. My students Catherine, Mabel, Janet, and Unie exploring the forest looking area behind the school. Turn down a random side street and you’ll find blocks of tiny pet stores all selling fish, dogs, cats, mice, birds, rabbits, and turtles. 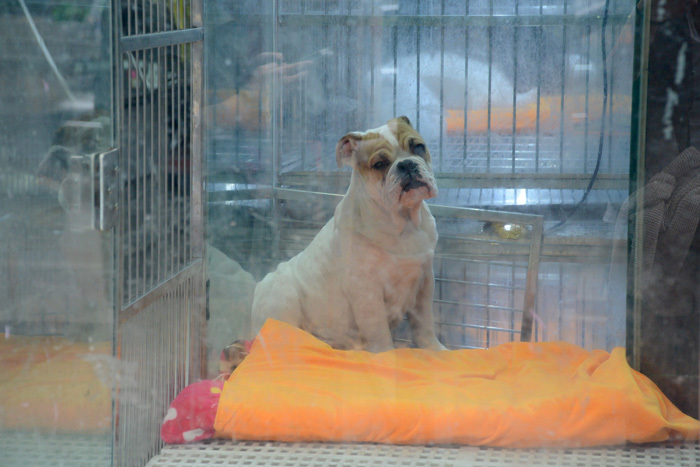 The conditions of the animals are pretty terrible and it’s the worst to see the dogs. They are usually lying down in tiny cages and all look sad and lethargic. Someone had just poked this dog with a stick so he is sitting up. 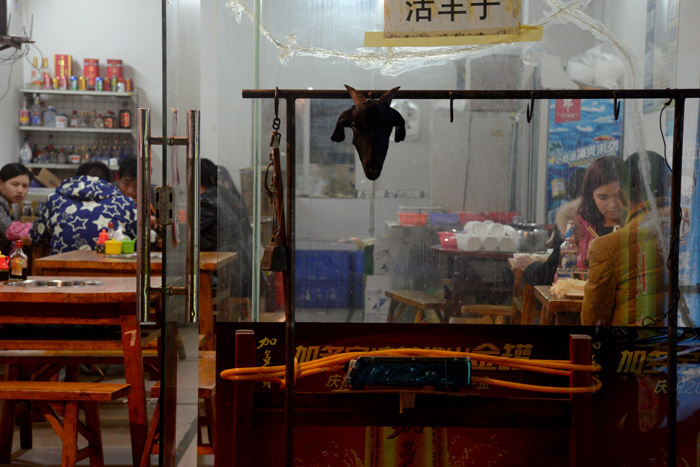 There’s fresh goat meat at this restaurant. 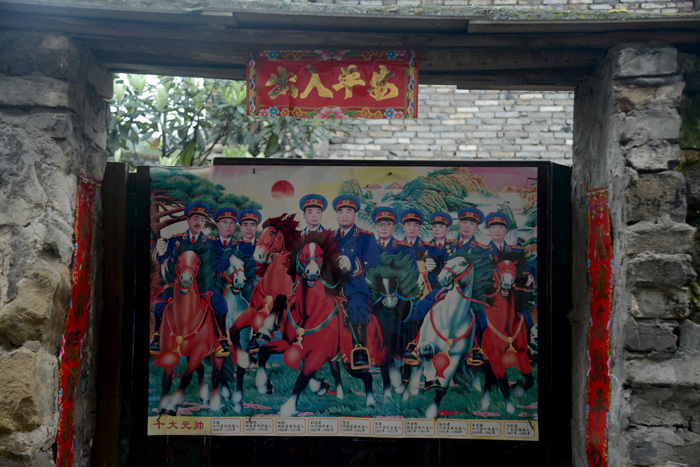 I saw this poster on a door of one of the old houses in Dengguan. The poster name translates to “10 Generalissimo” and it took me a little while to figure out what that actually meant. They’re all either leaders of the Communist Party of China or of the Chinese People’s Liberation Army. I found all of them listed on this website. Almost all Sichuan food is cooked and mushy. 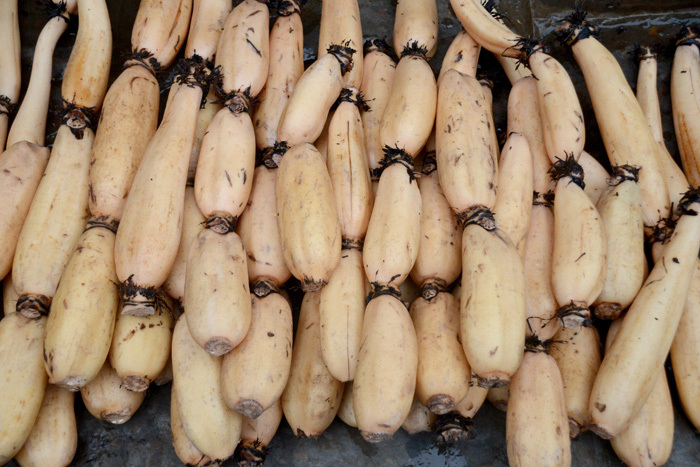 Lotus root is one of my favorite vegetables here because it is one of the few that remains crunchy after cooking it. Lotus roots are literally the roots of lotus flowers and are grown in ponds. 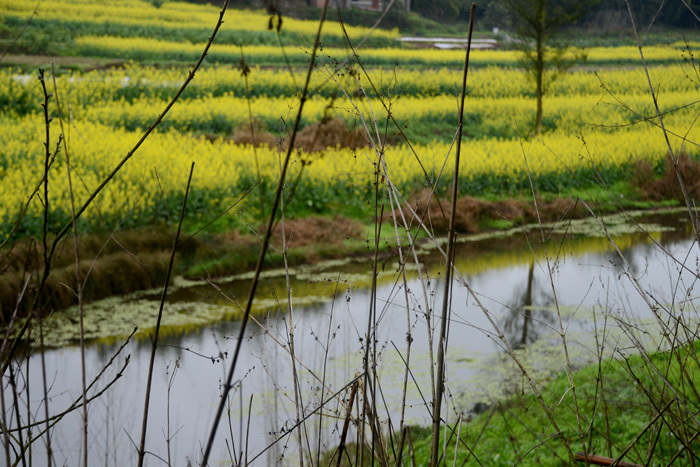 Rapeseed, the yellow flowers that are used for cooking oil and biofuel, is one of the most popular winter crops here. Brian stayed with me for two weeks! We had the best time ever together and I wish he could have stayed longer. He visited my classes, gave a lecture, played frisbee, and explored my town. Thanks for coming to visit brother! Zigong is called the “Lantern Town of the South Kingdom” and the lantern festival is awesome. 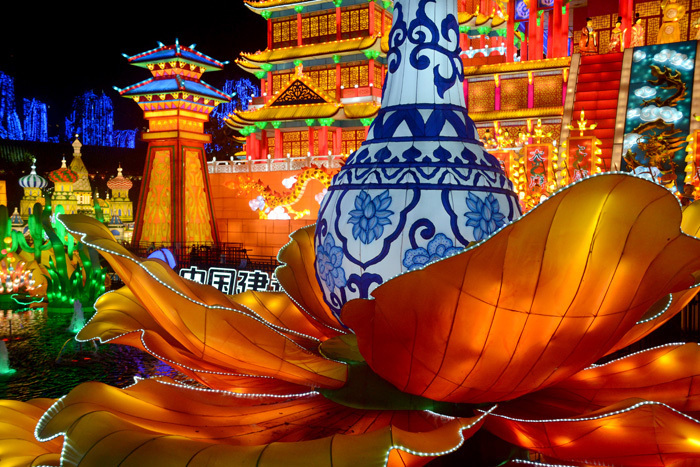 It is a fantastical, gaudy spectacular that features thousands of lanterns made of silk, paper, glass bottles, and bamboo. This year’s themes seemed to be monkeys, around the world, and storybook characters. 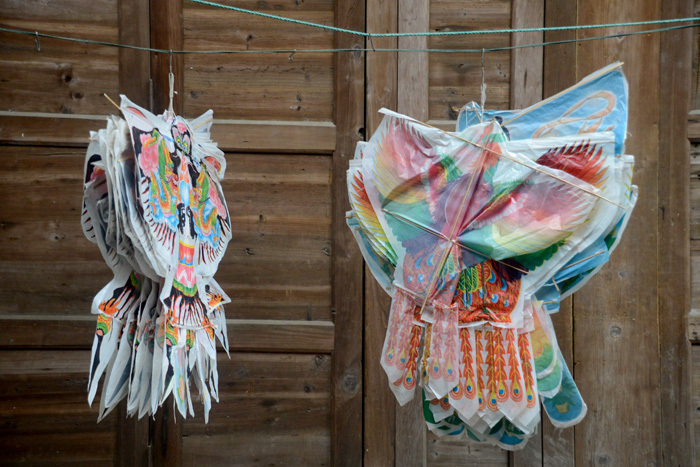 These plastic kites sell for about 50 cents. You can buy one with a pretty bird or dragon on it or a Disney princess. They are very popular at the school track and are fun for all ages! My vegetable market in the early morning before the noodle restaurants open. The woman in the pink hat works at the egg store and the woman sitting down is who I usually buy vegetables from. She knows which veggies I avoid (bitter melon, super spicy peppers) and when I walk up she announces the vegetables she currently has that I especially like (chick peas, potatoes, peas). The sports field is by far the coolest hang out place on campus. Now that the weather is getting warmer more students have been congregating here. 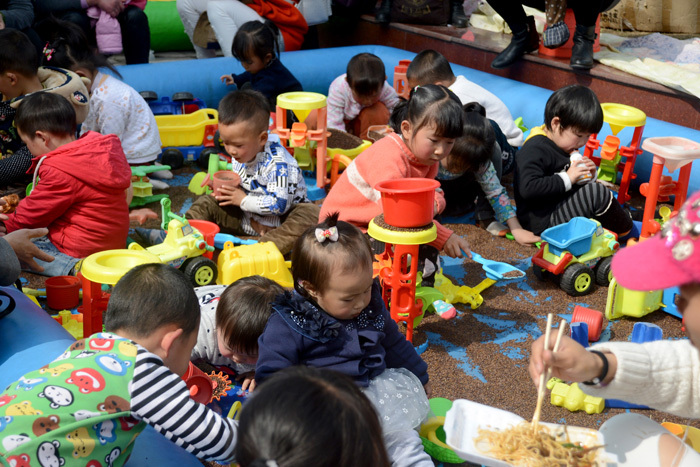 It’s common to see students playing badminton, running slowly in circles around the track, and having milk tea with friends while neighborhood kids play in the soccer goals. 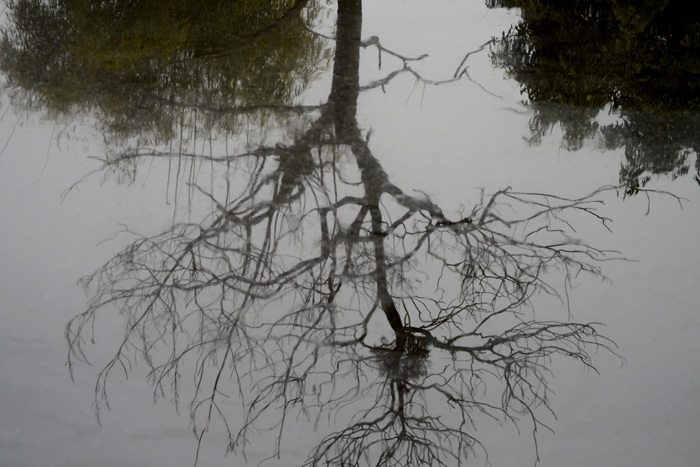 Reflection of a tree in a fish pool down the street. A colorful blob of children in a sand pit. 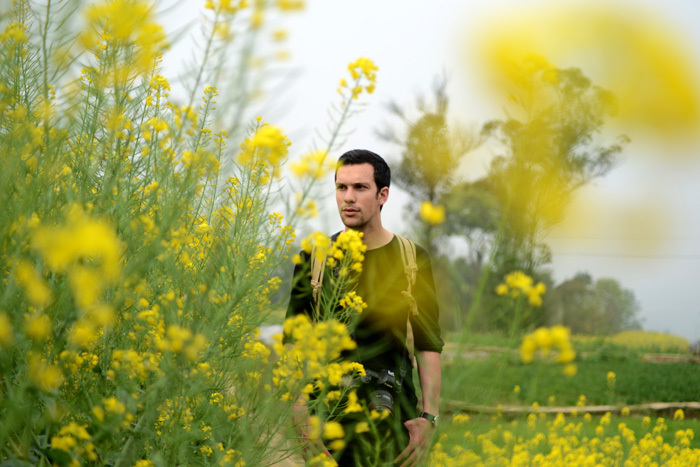 Brian and I spent Sunday exploring Fushun and the area by the lotus pond was packed with happy families. Your total price is calculated by how many sticks you’ve taken and eaten and the length of them (short for veggies, long for meat). 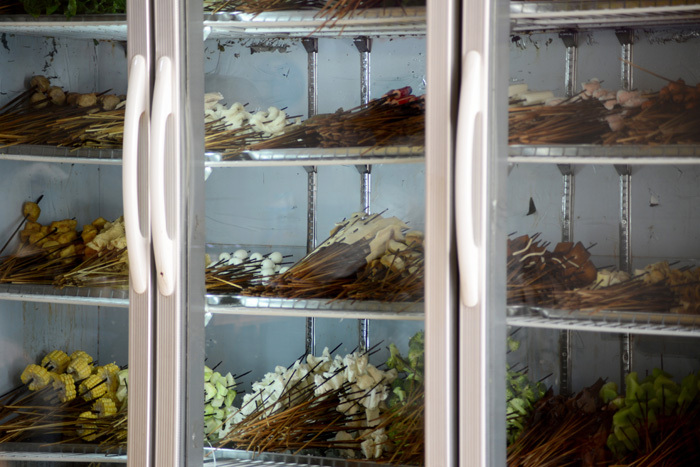 It must be very time consuming to put everything on individual sticks. I’ve been teaching at my university’s Zigong campus one day a week this semester and have been spending a lot of time riding the school bus back and forth. 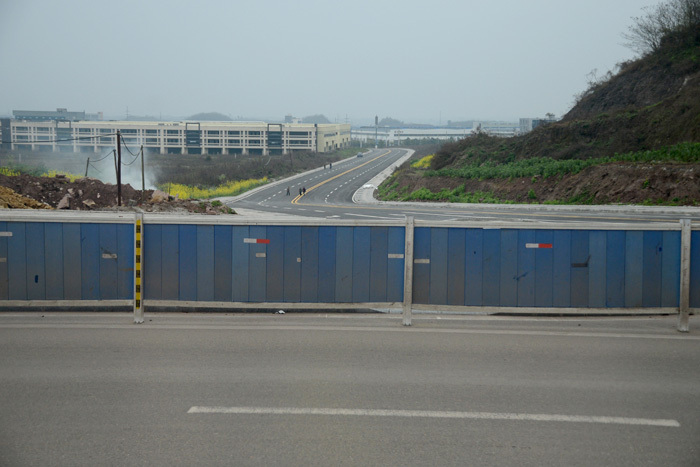 Along the road there are some random breaks in the farmland where new highways and huge buildings are being constructed. 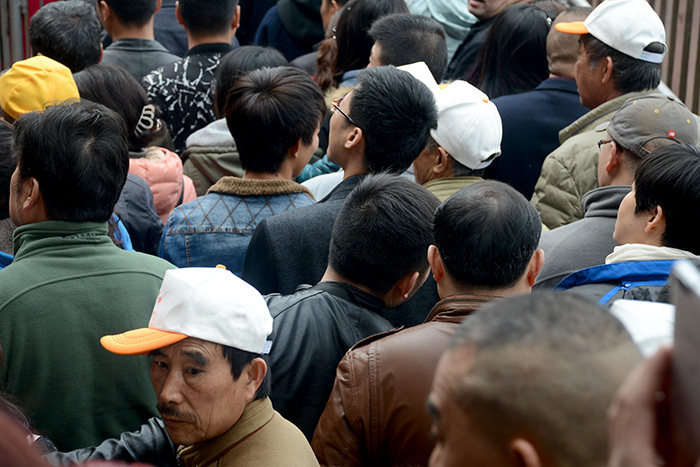 A long line of people waiting to see the giant buddha in Leshan. The line winds down the mountain and ends at the buddha’s feet, luckily becoming single file towards the end so it’s not quite as claustrophobic. I spent about ten days traveling in Japan – it was fantastic and a big contrast from life in China. The streets were quiet, peaceful, and clean and people were very helpful and polite. It was so easy to navigate around the country even though I don’t know any Japanese and sometimes hadn’t done much advanced planning. 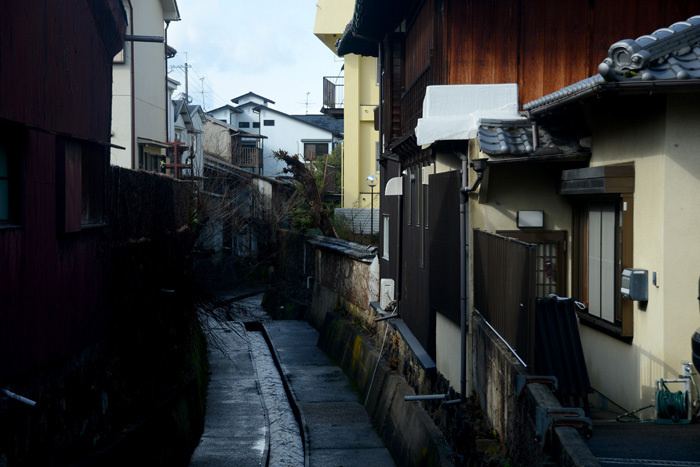 The following few photos are from my trip and this one was taken in Nara. 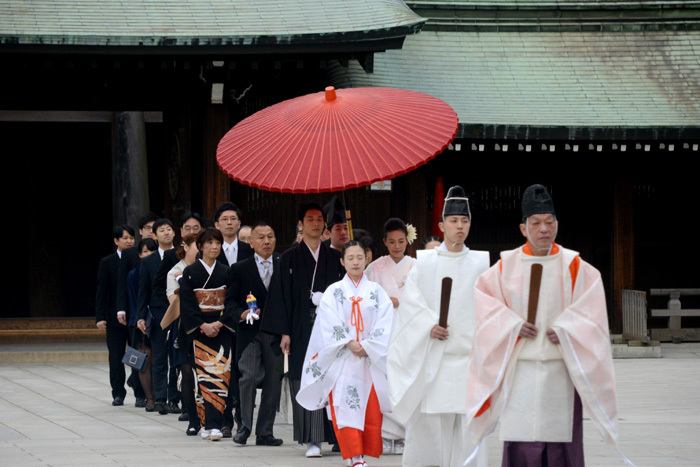 We were so lucky to see this wedding taking place at the Meiji Shrine on Saturday morning (Tokyo, Japan). 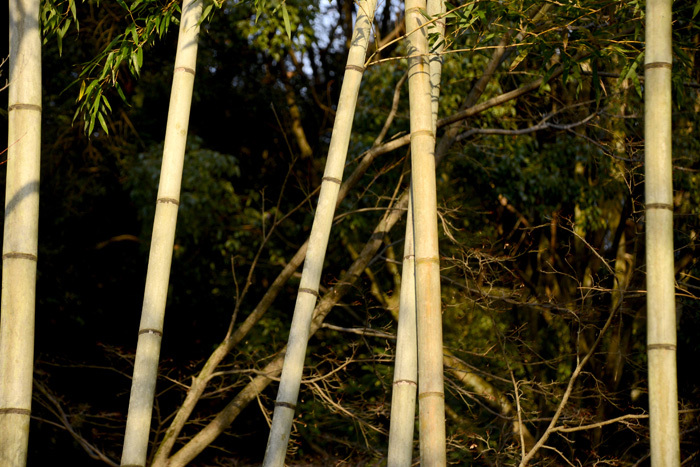 Bamboo forest along a walking path (Kyoto, Japan). 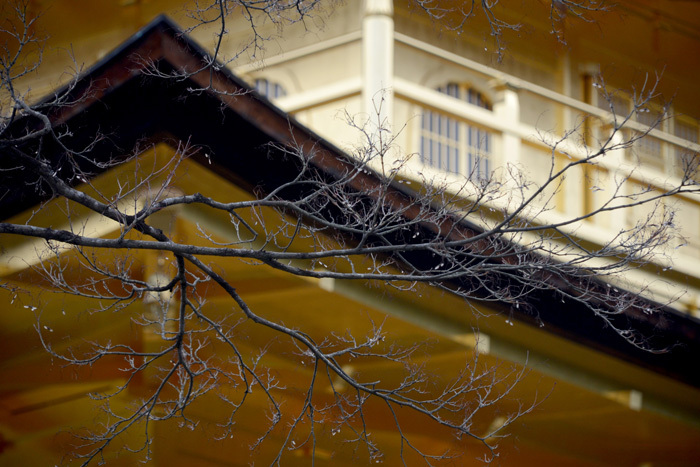 The Kinkaku-ji temple is the most beautiful temple I’ve seen. It’s covered in gold and in the sunlight creates a perfect reflection on the pond in front of it (Kyoto, Japan). 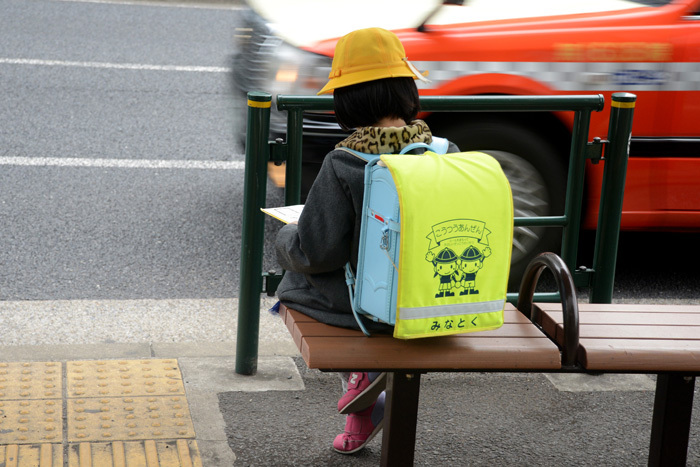 A student reading a book on her way home from school (Tokyo, Japan). 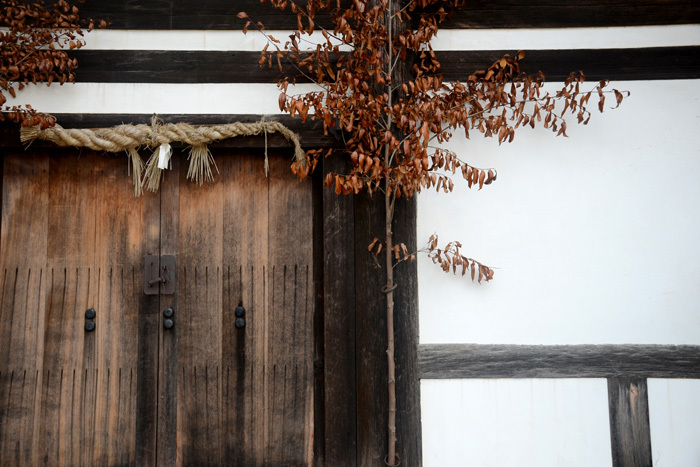 The door to a small temple (Matsumoto, Japan). 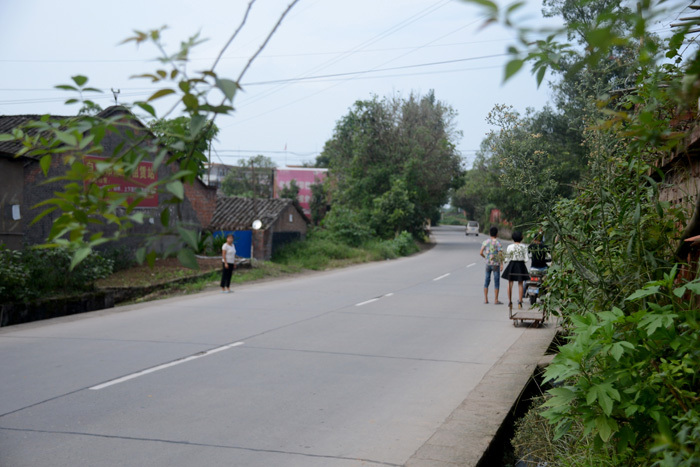 All of my students were so excited to go home for New Years and it was very cool staying in Dengguan and seeing the town packed with young people who had come home to visit their grandparents who live permanently in the town. 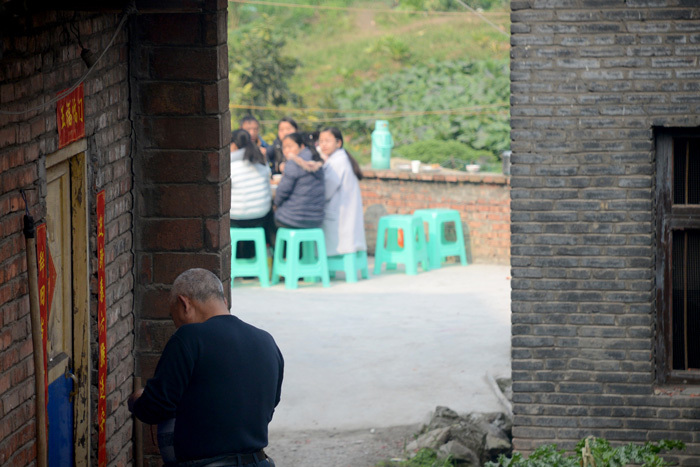 I have heard so much about the small town phenomenon in China where the older children move away for school and the parents move away for work, leaving the grandparents behind, but I hadn’t really realized that Dengguan was one of those towns. The streets were filled with happy families over the New Year. 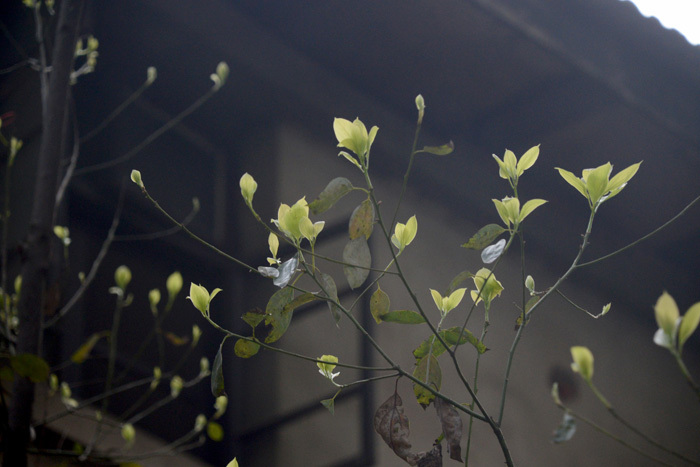 New Years couplets are posted on every house’s door signifying best wishes for the upcoming year. It is also common to see large groups of families eating together outside their homes – not super common to see during the rest of the year.